They said that at about 8.40pm yesterday, Mr Lock was driving south on the A24 when he struck the rear of a car that was also travelling south, just past the junction with the Black Horse pub on the A24 at Findon. Mr Lock got out of his vehicle and was confronted by the driver of the other vehicle, who stabbed him repeatedly. The offender then got back into his car and drove away south on the A24. Mr Lock, from Worthing, suffered multiple stab wounds. Despite paramedics working on him at the scene, he died shortly afterwards. The attacker is described as white, aged between 30 and 40, about 6ft and skinny. He had shoulder length brown or dark blonde hair and a thin face. Officers are carrying out house-to-house inquiries in the area and looking for anyone who could have any information that could help identify exactly what happened. 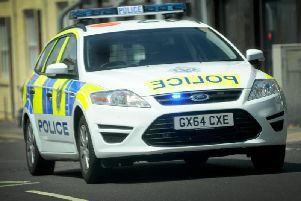 They are also appealing for anyone who has CCTV at their home or business that covers the A24 between the Offington roundabout at Worthing and the Long Furlong roundabout at Findon. In addition anyone that has a vehicle with a dashboard camera who was in the area at the time is asked to come forward. Detective Superintendent Adam Hibbert, of the Surrey and Sussex Major Crime Team, said: “Mr Lock was the victim of a frenzied attack that he had no chance to defend himself against. The attacker has then driven off but at this stage we have a limited description of his vehicle. We are looking for an extremely dangerous man and need the public’s help to identify and arrest him urgently. The A24 is likely to remain closed at Findon for the foreseeable future while the investigation continues. Diversions are in place. Anyone with information should call 101 quoting Operation Wise, email 101@sussex.pnn.police.uk or call the independent charity Crimestoppers anonymously on 0800 555111. As the news of the murder broke this morning, villagers living nearby spoken of their shock to the stabbing, which has rocked the ‘sleepy, quiet’ community. Mr Woodvine, who has lived in the village for almost 12 years said he had never heard of anything like this ever happening there. He added that he first saw the police while driving his wife, Pamela, to the gym. “I was in the car. That’s when I first saw the barriers. I saw the tapes that were cordoning the road off and the there were around half a dozen police officers there,” he said. Grandfather-of-three, Rodney Holderness, who lives elsewhere in The Chase, said he was saddened by the news. However, for some neighbours this was not their first experience witnessing a murder investigation taking place. One former police officer, who asked not to be named, said she had a chill in her stomach when she saw the police cordon last night. The 39-year-old mother-of-one, who retired from Sussex Police two years ago after working in Brighton for 11 years, said: “In all my years on the job I don’t expect that to happen a few hundred yards from where I live. The Chase resident added that her worried husband had called her when he heard there was an incident taking place. “All he knew was that there was a serious accident close to home, and he knew that I would be coming back at that time,” she said. “As soon as I saw the cordon and the police response I knew it was extremely serious. “The whole thing is just awful. My heart goes out to the man’s family, it really does because there is no easy way to go and tell the family that this has happened. Christine Cook, 88, also of The Chase, was shocked by the attack, which happened yards away from her home. Neighbour Pete Beale, 63, described seeing police and paramedics working at the scene when he went to have a look at the site at about 11.15pm. This morning, police and media remain at the road, which is cordoned off with blue and white police tape. Detectives hunting for the killer believe the suspect fled the scene of the attack. He is described as white, aged between 30 and 40, 6ft, skinny with shoulder length brown wavy hair with a thin face. His car is described as a pale coloured old-style vehicle. Detective Chief Inspector Karen Mizzi of the Surrey and Sussex Major Crime Team said: “Officers have been urgently making enquiries overnight to trace the suspect. Anyone with information can contact Sussex Police by ringing 101 or email 101@sussex.pnn.police.uk quoting Operation Roseberg or call the independent charity Crimestoppers anonymously on 0800 555 111.